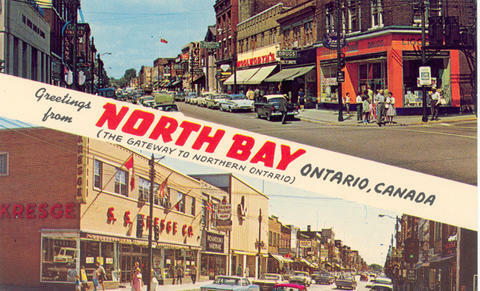 Item 072 - Greetings from North Bay (The Gateway to Northern Ontario), Ontario, Canada. Distributed by Wm. R. Forder, North Bay, Ont.